Disney just gave us another reason to love Maleficent. She’s cunning, terrifying and all-powerful. She’s a woman who knows what she wants and stops at nothing to get it. 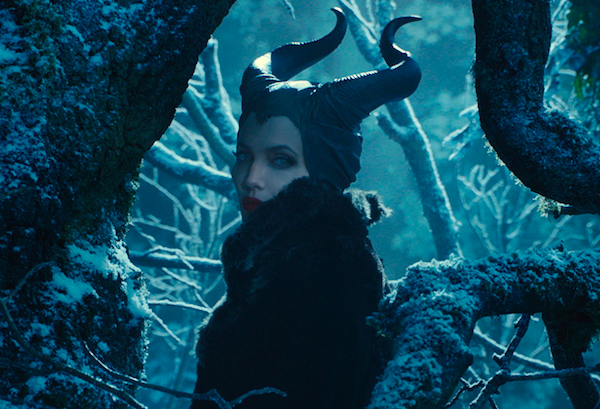 During last night’s Grammy Awards, Disney premiered a TV spot for this summer’s Maleficent. If you kept your eyes peeled, you would have spotted the extended look at their next fairy-tale blockbuster. The footage only cemented what we already knew — Angelina Jolie is perfect for this role. Jolie plays the title character and relishes her darkness. As the sorceress, she’s a haunting figure in the life of the innocent Princess Aurora, better known as “Sleeping Beauty.” This is a live-action adaption of the classic story, but from Maleficent’s point of view. There are a lot of differences between Maleficent and 1959’s Sleeping Beauty. But Disney tries to balance the old and the new. The latest trailer features the song “Once Upon a Dream,” which was featured in the original film. Yet this incarnation is performed by singer Lana Del Rey and it’s chilling to the bone. The overall tone of Maleficent is pretty dark, therefore Del Rey’s version fits perfectly. You can tell Jolie really enjoyed bringing the character to life. Everything from her piercing green eyes to her intimidating costume screams “I am evil. Hear me roar!” She’s one of, if not the deadliest villain in the Disney canon. Poor Princess Aurora doesn’t stand a chance. What do you think of Disney’s Maleficent? Will you be watching?